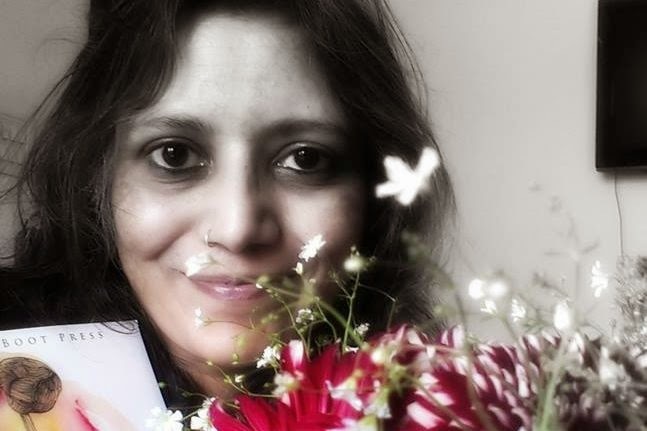 Today at PonderingTwo we have Tikuli, the author of the poetry book ‘Collection of Chaos’, sharing with us some interesting things on poetry and her journey as an author. ‘Pondering Two’ welcomes you. It’s pleasure hosting you on the blog and thank you so much! 1) Tell us about your journey from being a blogger to a published author? I began blogging around eight years ago. Since last six years I have been on wordpress. The first two years were experimental. To be published is every writer’s dream and I always wanted to see my name in print. These days with self publishing it has become very easy to get published but I feel well known, reputed poetry journals and literary magazines are the best places to start with. I began showing my work on my personal blog and then slowly shared it with writer friends and others and through them got into online submissions to good poetry sites. All this was a process of learning. I call them rooting years. Being open to learning and reviewing, editing, rewriting your work to polish it is a continuous exercise when you want to establish yourself as a writer. I am fortunate I have good mentors who not just critique my work honestly but also help me improve my skills. It is through them I got my opportunity to get published. James Goddard helped me with this collection from the inception till the publication. Many of the poems were written over the period of time and needed editing, polishing. He worked hard with me to make my dream a reality. Without him this book would not have been possibe. I am truly grateful for all the guidance and support he gave to help me break the barriers and find myself through my writing. 2) How important it is for you to have Kris Saknussemm as your mentor and guide? And how did he help you in your journey as a writer? Though our connection is virtual I feel I know Kris from another time and space. He is a great mentor and friend. He is one of the finest writers I know. Kris has not just helped me evolve as writer but also as a person. Knowing him has been a blessing in more than one ways. It is said that when the student is ready the master appears. Some years back when I was struggling to learn the art of writing Kris nurtured me despite of his extremely busy schedule. I religiously followed his guidance and worked hard to do everything possible which he suggested as part of my learning. It helped me tremendously. He instilled in me a courage and self belief that changed my entire perspective of life. Mentoring is a time and labour intensive art. It isn’t everyone’s forte. Not many reach out to lend their support especially when everyone including yourself has given up on you. My interactions with Kris at many levels continue to guide me in my journey as a writer. Only once in lifetime one comes across someone like Kris who can lend you a hand and help you take those baby steps with so much encouragement and caring that you gain an inner strength to realize your dreams. His presence in my life is a gift, something irreplaceable. During the compiling of this collection too both Kris and James continuously helped me to select, edit and present my work the way has been. Their writing, their way with the world, their gracious presence and uncluttered attitude to fellow writers, all these things helped me in a big way. 3) What made you feel the need to pen Collection of Chaos? And was it difficult penning poems one after another? 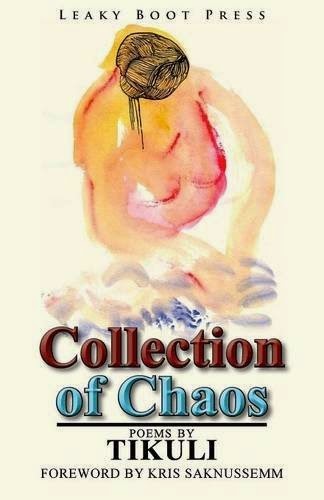 Collection of chaos is a journey inside the poet’s mind, her life and all that surrounds it. Each poem has emerged from the complex interactions of heart and mind, the struggles of daily life and a search for oneself beneath all the role-playing. The book wasn’t conceived as a whole but it’s a patchwork quilt of poems. It isn’t just the product of disciplined hard work and learning with an open mind but also of great mentorship. Sometimes you need more than your own power to make things happen. This book could not have happened without the support, encouragement and friendship that made me trust those people implicitly. An artistic evolution is a dream work and each dream work is a team work. It was James who strengthened the desire in me to collect my best poems for a book. He offered to publish it too and gave me the greatest gift in the world. 4) Would you like to share some experiences while writing Collection of Chaos? Some of the poems in this collection are very personal and drawn from my life. From my concern for women’s rights, my experience of unsatisfactory and troubled marriage, love for my children and the difficulties we all face in everyday life. Turning life experiences into verses and to speak about one’s open wounds is difficult. There were times I left the poems halfway to collect myself and come back to them with calm and focused approach. 5) Who are your favourite authors both from national to international? It is very difficult to name just a few. I read extensively so choosing favorites is tough. Let me tell you those who have influenced me in recent years. Kris Saknussemm, Sebastian Doubinsky, Tabish Khair, Jerry Wilson, Matthew Revert, Ole Neilsen are some I can name here. Sa’adat Hasan Manto, Ismat Chughtai, Amrita Pritam, Gabrial Garcia Marquez, Octavio Paz, Lorca, e.e.cummings, Naruda, Kamla Das, Jayant Mahapatra are some other renowned authors I love to read. 6) Do you plan to dabble into writing fiction at some time apart from penning poems? I do write fiction. I have written a lot of short stories and a few have been published in online journals. Most of my stories, memoirs etc are on my blog but I am working for a short story collection and a novel along with writing poetry. 7) Do you feel that poetry as a genre needs to be encouraged to be published more and more? If Yes, than any advice you would like to give to the writers interested in publishing their work as poets? Yes, I do feel that poetry needs to be encouraged to be published and there are lot of publishing houses who keenly publish poetry. Writer’s Workshop, Aleph Book Company, Poetrywalla, The ‘Great’ Indian Poetry Collective, Authorpress India, are some of the names who are encouraging poetry publication. Even though it has become easy to self publish these days I feel that before opting for a print publication one must explore the reputed online journals and magazines. There are quite a few good ones these days. Try and get published there. Get recognition and learn from the critique and then venture into print publication. Reading is essential too. These days a lot of new poets have emerged but hardly anyone reads. Everybody is in a hurry to see their name in print. That in my opinion is not a good approach. Learning is a never ending process and good writing can only come from extensive reading. 8) Describe yourself in a sentence? A huge thank you for pouring your heart out while answering the questions and am glad that you enjoyed answering it. Wishing you all the very best for your future endeavors!! Thank you so much for hosting me on your blog. I enjoyed replying to your questions. Great pleasure to be here. All the best.